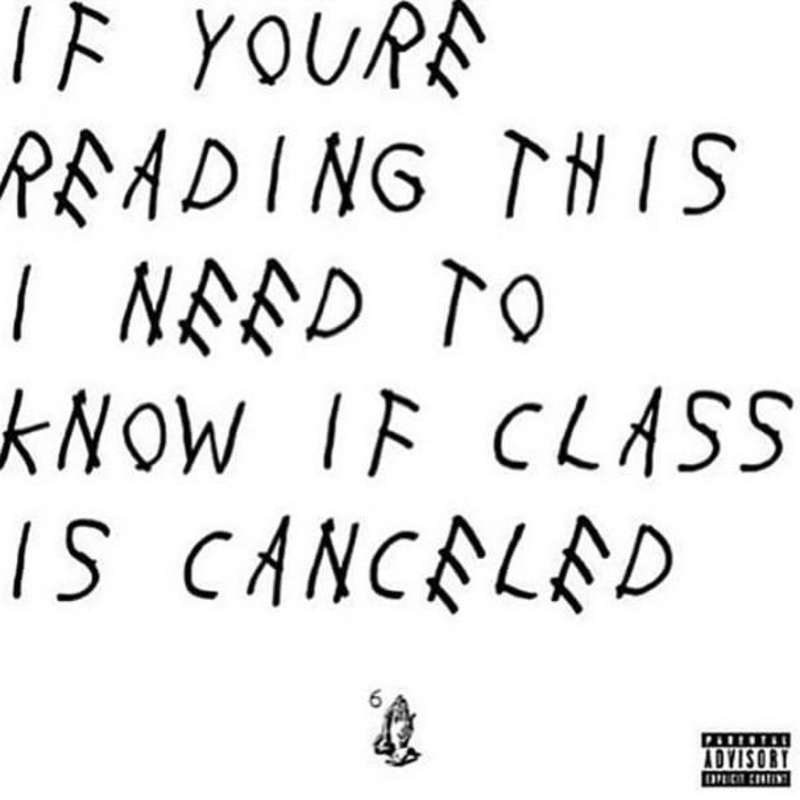 The weather, the weather, the weather! 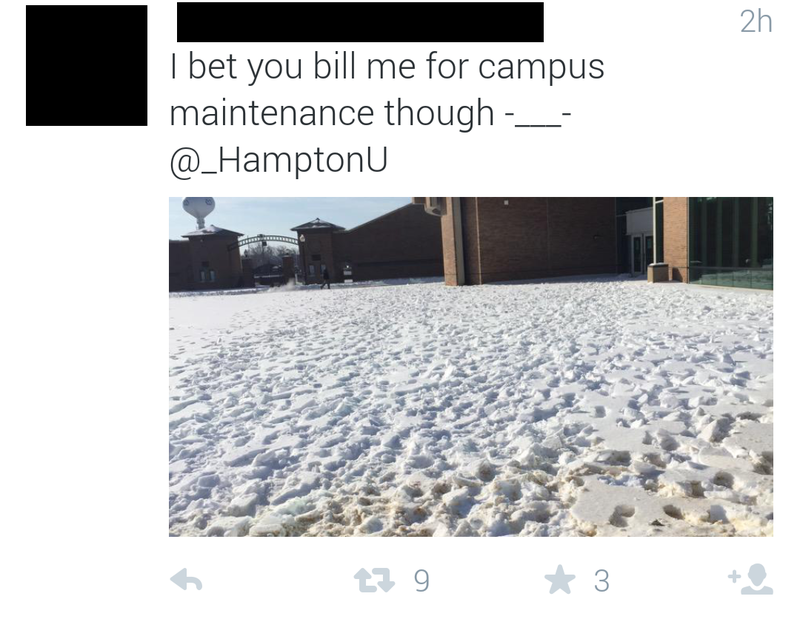 It's the middle of winter, and snow is an inevitable symptom of the season. 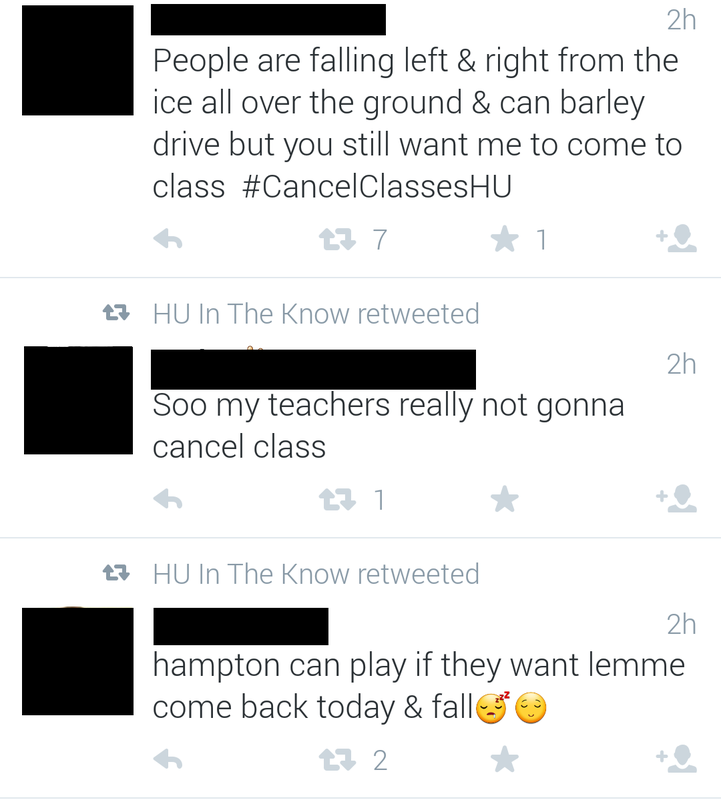 However, my illustrious university and the city of Hampton at large seemed largely unprepared despite enough forewarning. 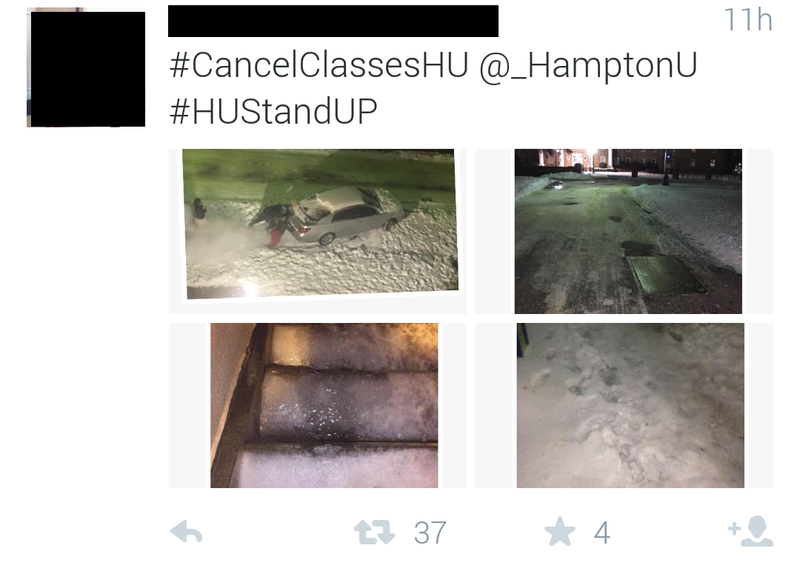 The students of HU were furious for obvious reasons. 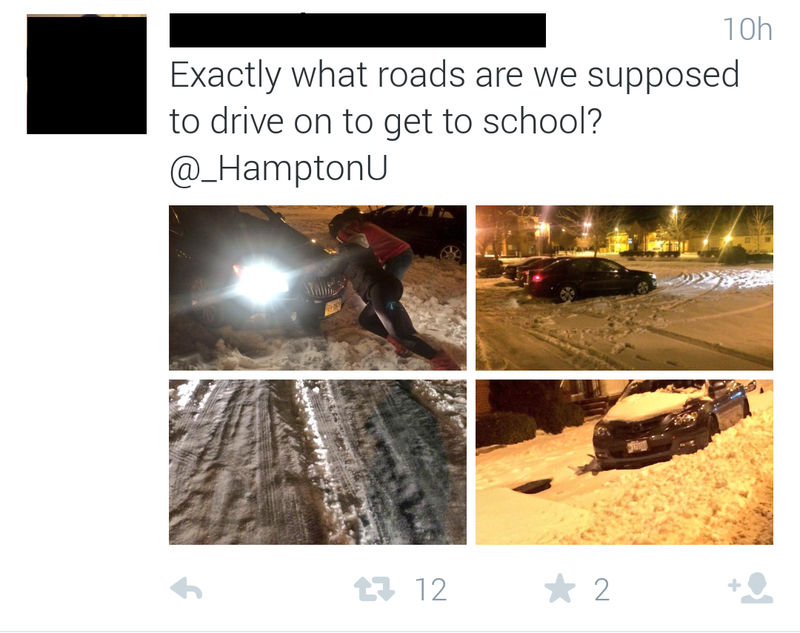 Where is the rock salt? Why is there sand on the ground instead? 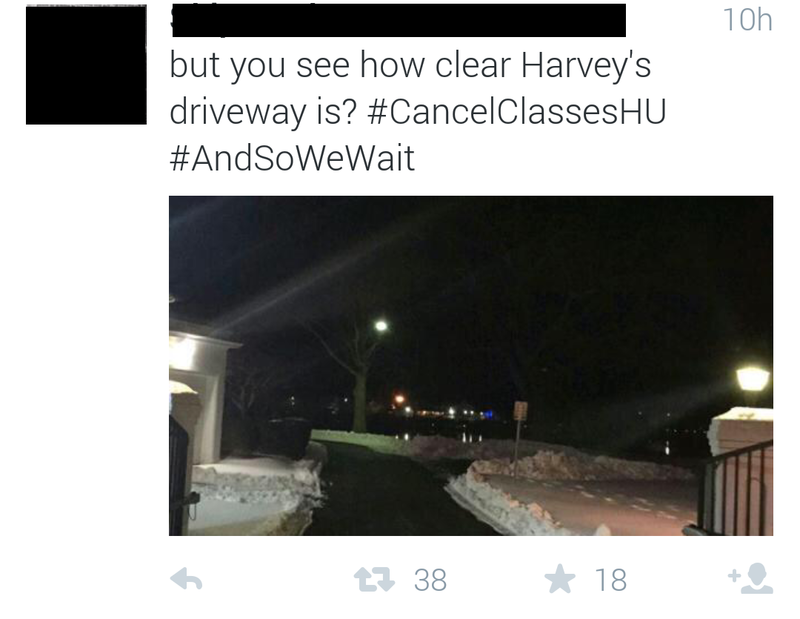 Why was President Harvey's driveway totally cleared while we were left to navigate the icy streets? 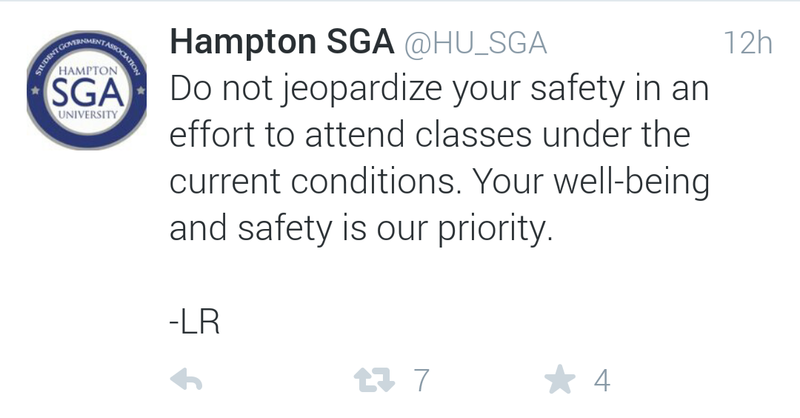 And most importantly, why wasn't the campus shut down? 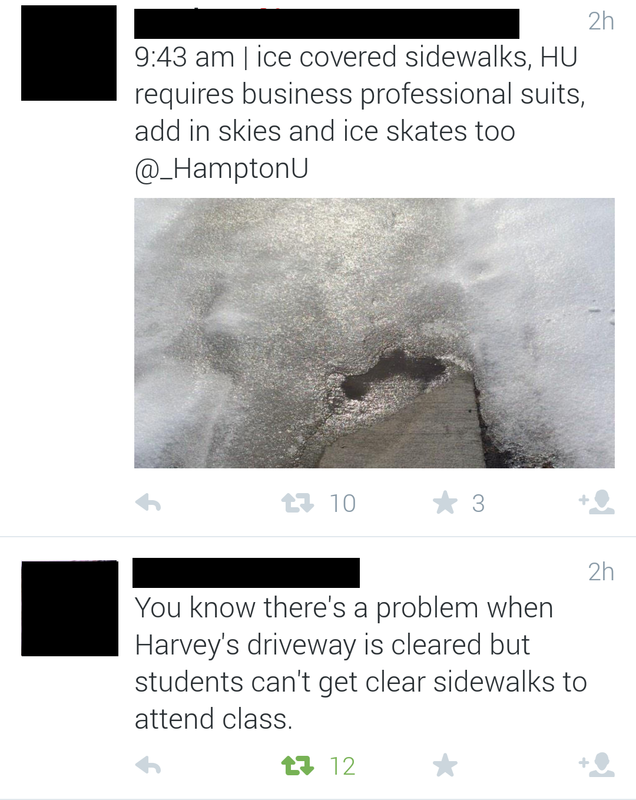 Read the following tweets to see what other students had to say. "I told you not to catch feelings..."